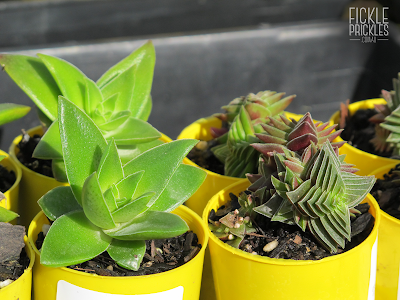 Fickle Prickles - Cacti & Succulents: What are the differences between Crassula capitella and Crassula capitella ssp. thyrsiflora? 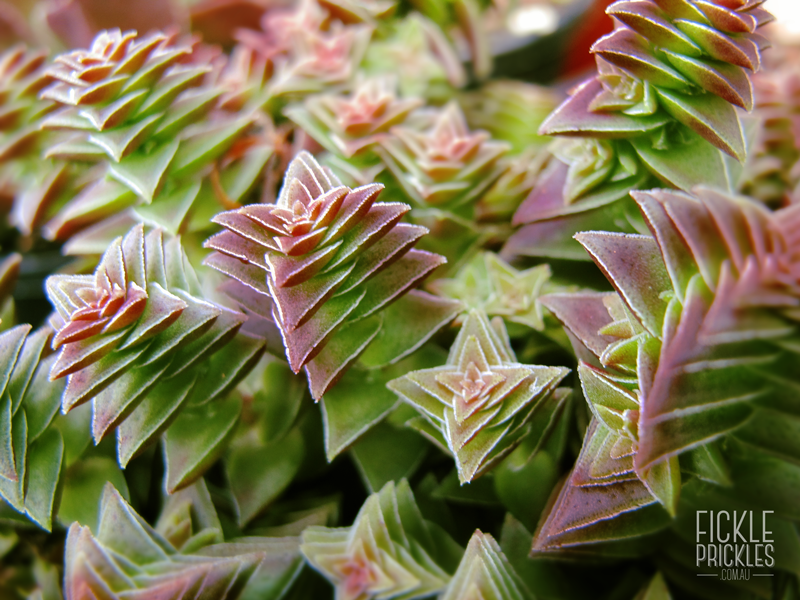 What are the differences between Crassula capitella and Crassula capitella ssp. thyrsiflora? We have been receiving a lot of queries as to the physical differences between a Crassula capitella and a Crassula capitella ssp. thyrsiflora - So we thought we would share this comparison photo! Crassula capitella ssp. 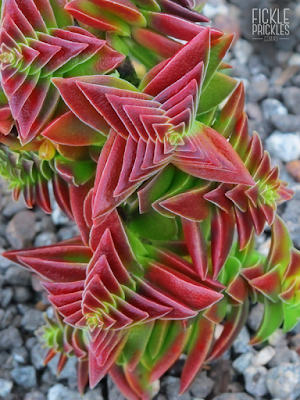 thyrsiflora is commonly known as 'Red Pagoda'. 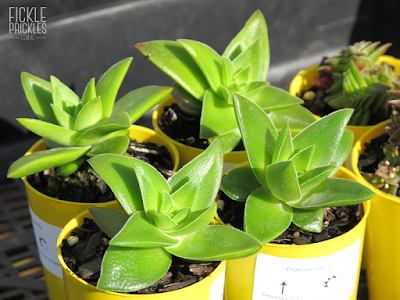 It has quite small triangular leaves that stack just like the original capitella, but just on a smaller scale. The plant itself is more compact, and will mass and clump into a mound no bigger than 10-15cm. Thyrsiflora has olive green leaves that turn a dark burgundy colour with age. 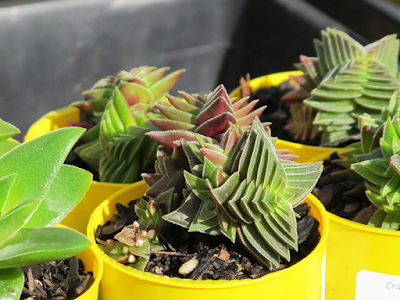 Crassula capitella is a larger plant, that can grow up to 15cm tall (and sometimes taller). The leaves themselves are wider and more fleshy, and don't grow as compact as the thyrsiflora. The colours of the capitella are stunning, with shades of vivid pink and red coming through with age. The colours intensify in the cooler months. Both are geometrically amazing to look at, and look wonderful in potted succulent gardens.